I am a Carpenter based in Witney Oxfordshire, please inquire about all carpentry and construction needs! 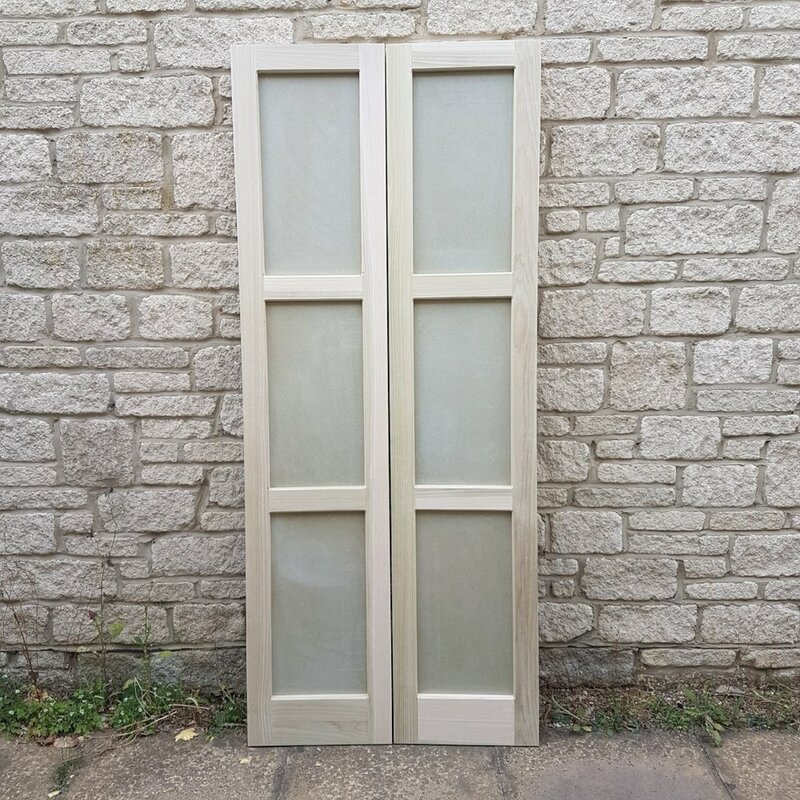 Bespoke shaker style doors, hand made right here in witney! The doors pictured are made from Tulip wood with mdf inset panels. The tulip is a lovely soft wood with less of a tendency to twist and buckle than pine for example, and the grain is beautiful as it is. They can be made of anything you like, Oak sapele, ash or even a composite like mdf. This unit was made for a job in london, where space is at a premium. So to make the most of bedroom storage this unit was commissioned for over the bed. As above the doors are made from tulip and mdf, fitted on kitchen hinges. 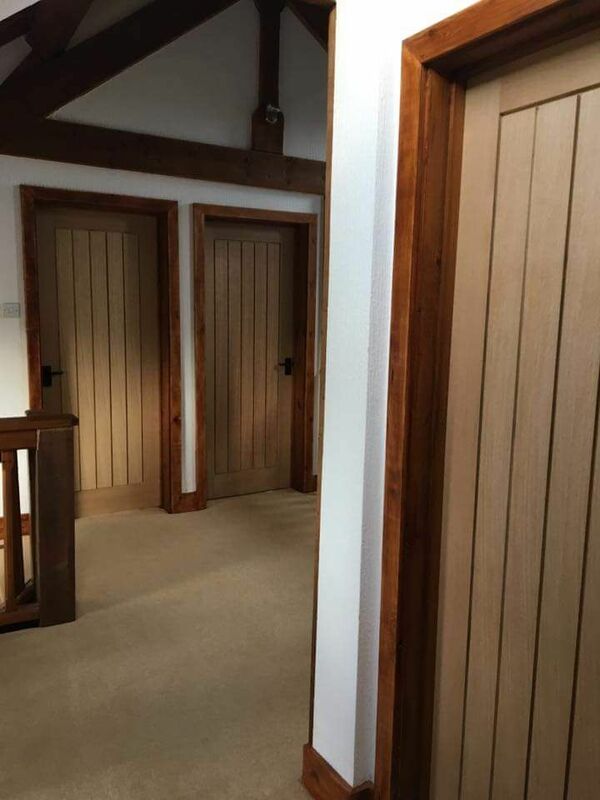 RGD Carpentry has sourced and fitted 9 oak doors within our barn conversion home, together with bespoke door fittings. All tired architraves and skirtings were removed and replaced with desired alternative. The work was efficiently and effectively done within a week. Ryan is dependable and resourceful to get the job done. 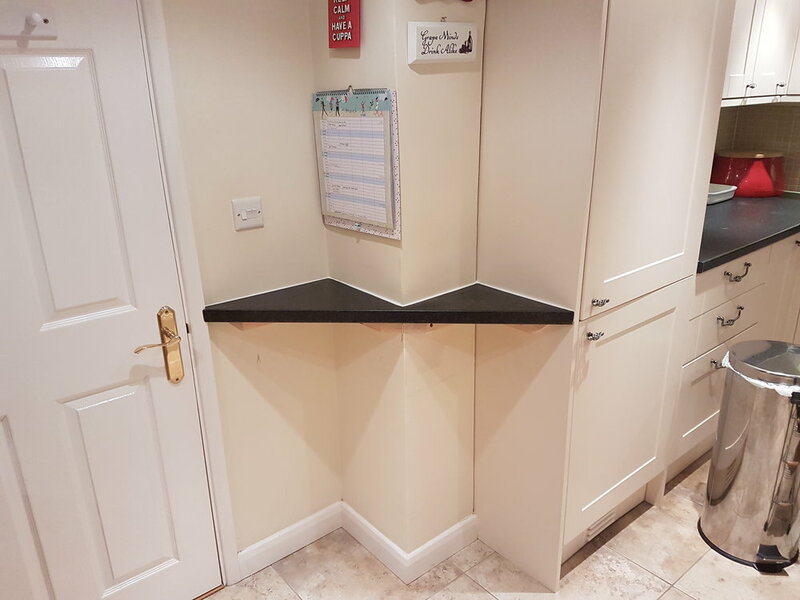 RGD Carpentry has sourced and fitted our Utility room sink unit, and minimised any previous wasted space with a suitable replacement that is fresh and practical. This Witney customer had a Brand new Engineered oak floor, supplied and fitted, throughout the dining room and the entrance hall. 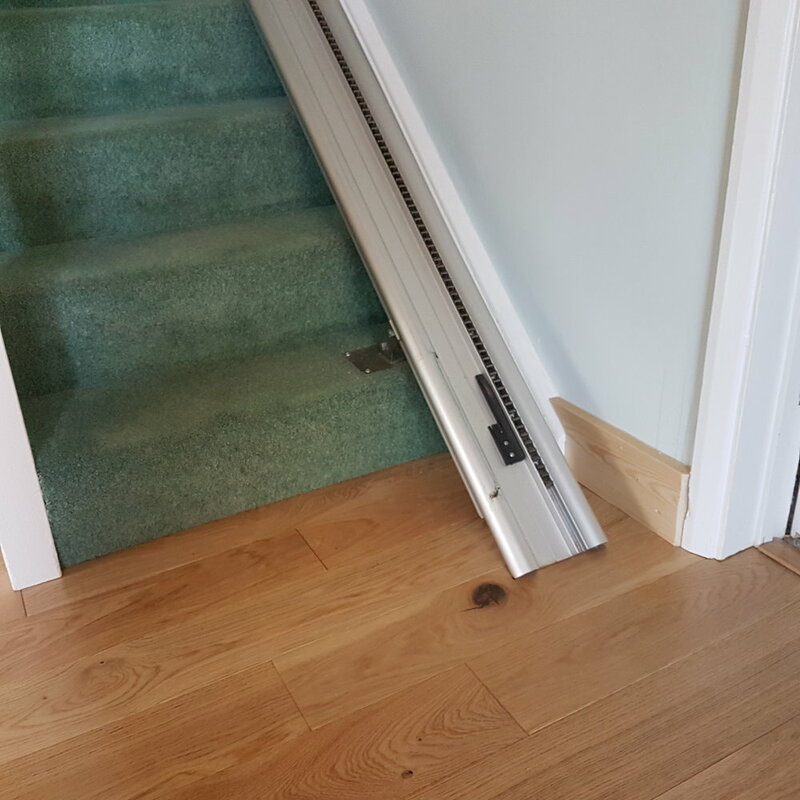 New skirting and architrave was fitted to avoid the nasty sight of flooring quadrant. Pictured all ready for the decorator. This customer started out with a new kitchen supplied and fitted, and then went on to change all the existing doors in the house to new burford 4 panel doors. The work continued with bespoke built in wardrobes fitted for all 3 of the bedrooms. It is a lovely property with beautiful high ceilings, which allowed for some much needed storage above the wardrobe space too. This was a job for a repeat customer. As you can see, the old gate was barely hanging on to the hinges and the old timber lintel was way past its time. I fitted a new concrete lintel, patched up the old brick work and made a new gate to fit the odd sized opening. Good as new! This customer was finding it difficult to find a new unit for the cloak room, so I built and fitted one to their specification. The existing basin was used, with the panels and doors being made from mdf and ply inset panels. I have been working with this customer for quite a few years and she is always happy to have me back. 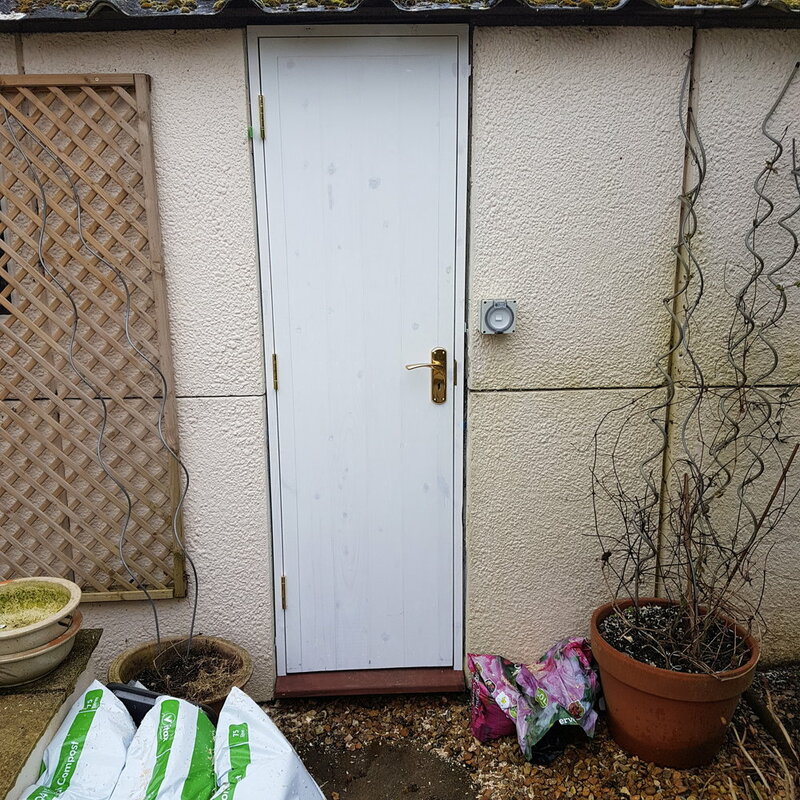 I have done work ranging from fitting additional units and worktops to her existing kitchen, replacing her old tired garage doors (including making an odd sized, side access door and frame), and adding cubby hole access into the eaves. Work still continues to this day. 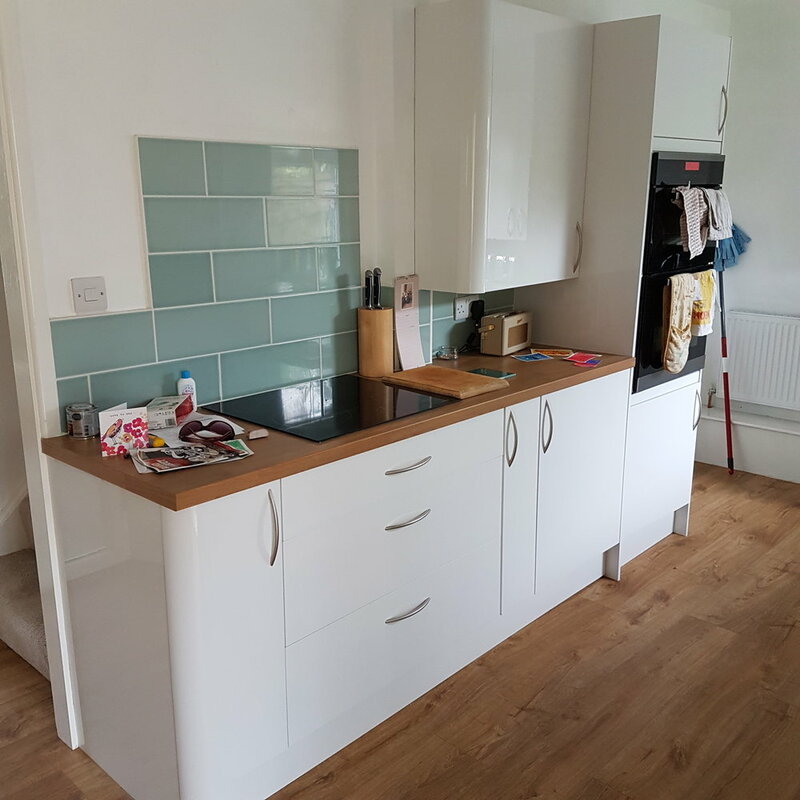 This witney customer had a beautiful new kitchen supplied and fitted, along with a stud archway removed to allow more light through to the living room. A new stud wall was erected to divide the living room from the rest of the house, but with as much glass as possible to keep the light flowing through. Aslo while there, we updated the balustrade at the top of the stairs and put a new handrail in too. 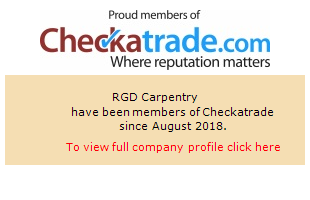 I have worked for several large building and carpentry firms over my ten years in the industry, and it is impossible to show every job, here are some of the jobs i was proud to be part of the team who completed the work.